Home » Should You Work In Retirement? It’s no secret that most Americans aren’t saving enough for retirement. Add to the fact that since The Great Recession many are still underemployed or unemployed and you end up with people wondering if they will even be able to retire at all. Once the question comes up about being able to retire, the next question tends to be whether or not you should work in retirement. So, should you work in retirement? The great thing about this question (or maybe the worst thing about this question) is that it is personal. I can’t tell you one way or the other, just like someone else can’t tell you whether you should work in retirement or not. The decision is up to you. Do you enjoy your job? Many people dislike their job and can’t wait to be done with it and retire. But there are some out there that actually enjoy what they do for a living. If this is you, then why quit? If it brings you happiness, you should keep doing it. If you want to work in retirement but still have free time, see if it is possible to cut back to a part-time schedule. Can you afford to retire? You need to sit down and figure out how much your monthly expenses are and then figure out how much money you have. From there, run the numbers to see how long your money will last you. One note here is to not include Social Security. With the uncertainty of its future it is best to not rely on it. Instead, treat it as a monthly bonus that you weren’t expecting. What are your hobbies? If you have many things you enjoy doing outside of work, then not working in retirement might make sense for you. On the other hand, if you have no hobbies and will just sit around all day long, then maybe you should continue working. Or, as I mentioned above, find a part-time job but doing something you actually enjoy doing. Can you turn a hobby into an income? I’m not suggesting you turn your hobby into a full-time job, but maybe there is a way to earn a small income from your hobby? For some reading this, you might be able to do some consulting on the side. I know of a man that retired who was an accountant. While he loves retirement, he still prepares tax returns while retired. It’s not a full-time job or anything like that. He sets his hours and how many people he takes on. For the most part, it is just a handful of clients that he still stays in touch with. He works a few hours a week for a few weeks a year and earns a good income. At the end of the day, deciding whether or not to work in retirement is a personal decision. You have to figure out what your goals are and how you envision your retirement. I know a handful of people that got bored by not working and ended up going back to work part-time. Others left the workforce and never looked back. By knowing what you want and desire, you can more easily determine whether or not you should work in retirement. Agree about having the extra cash. You never know what interests you might take up in life. Better to have the cash than not! I envision myself in retirement as someone who is only working part-time at a job I enjoy doing. I hope to do my part-time job well into my 50s and possibly 60s, which I may be able to do because it is in the fitness industry. I would prefer to spend the rest of my retirement travelling the world and taking general interest courses to keep my mind active. 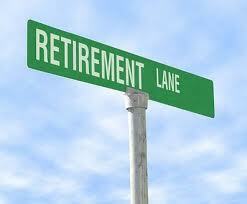 The fact that many people can’t afford to retire and have no choice but to work in their retirement years scares me. Fear seems to be a good motivator for me to plan, work as much as I can and save as much as I can for retirement. I too see those that can’t retire and just don’t want to be working the rest of my life. Well, I’d be OK working if I was doing something I loved. I don’t want to work just so that I can afford to survive.